Intermarine have successfully completed the first phase of a £1m project for Orsted (Formally Dong Energy of Denmark) in Grimsby. The new heavy duty continuous steel pontoon system is 50m long by 6m wide without any high maintenance movement joints. The pontoon will be used by the Turbine Transfer vessels to access the offshore windfarms. 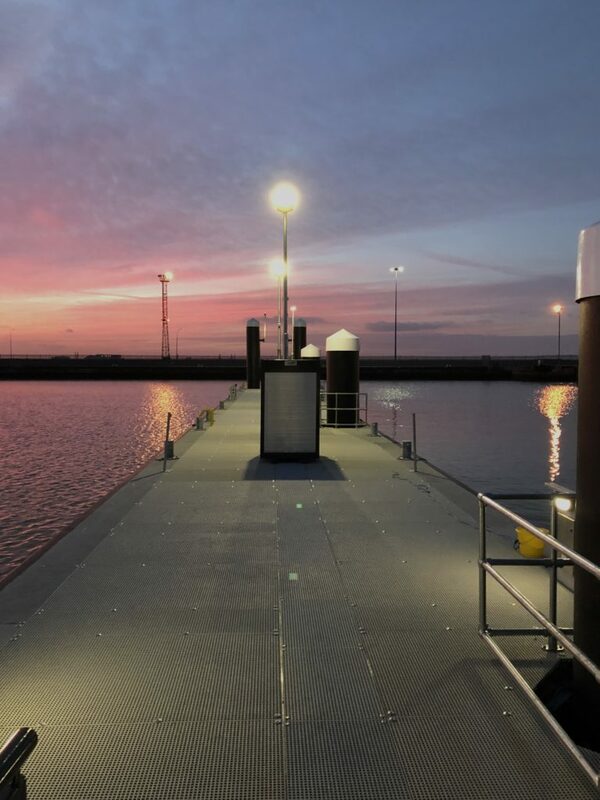 The next phase of the project will be the construction of a hydraulic ramp platform to give access to various heights of vessels on the push on mooring at the end of the pontoon. This has been designed in house by Intermarine limited and showcases our design capability for special projects which sets us above the crowd.